This week's Triggernometry is all about the basics of flashbanging. 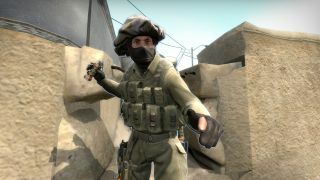 CS:GO's blinding bomb is one of the fundamental tools of competitive play, but the techniques surrounding flashing can be pretty opaque. This video gives an overview of how flashes work and demonstrates two maneuvers, the pop flash and the fake flash. For more advanced techniques, consult Swag.